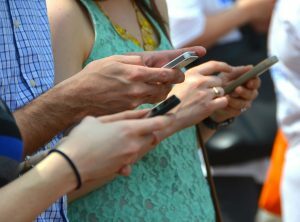 We love our cell phone service from Google’s new “Project Fi.” It only works with Google Nexus phones, but if you get one, your bill might be as low as $25 a month with tax. Now they’re expanding it. 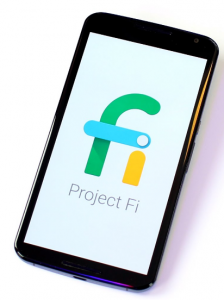 Google Fi currently works with three phone carriers. If the signal is strongest from T-Mobile, for example, that’s who they’ll connect to. If Sprint is better, you’ll be using Sprint. They’ve recently added U.S. Cellular. A Google Fi account gives you unlimited text and phone calls for $20 a month. Each gigabyte of data (which is what you use up when you’re on the Web and all those words and pictures come in), is $10. But you get money back if you don’t use it. Our comment on this is that it was inevitable that phone service would get cheaper. It was just too darn expensive, with users averaging $73 a month in charges. Can Your Mac Be Hacked? It’s a very slight increase in the user base, but 7.5 percent is just enough of a bump to attract the bad guys. According to a study by “Carbon Black,” a security firm, the number of malware attacks on Macs was five times greater in 2015 than the previous five years combined. We can expect it to be even greater this year. The Mac “OS X” operating system comes with its own malware detection program, but hackers still get through. According to Malwarebytes.org, a piece of “ransomware” called “KeRanger” has been downloaded by 6,500 Mac owners, some of whom saw their photos, files, music and what-have-you locked away. Ransomware is a term given to attacks that make your files unavailable unless you pay a ransom to have them unlocked. We get emails saying, “Hey, check your text messages.” Maybe you do too. 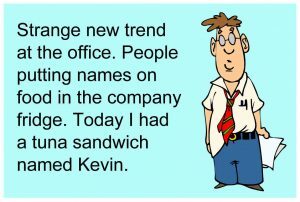 Texting is used more often than email by the younger set, and it seems like it will soon be used more often by everyone. Why’s that? It’s simpler. Its users point out: “There’s less overhead.” Meaning, there are fewer steps to send a message. Recently we wrote about one solution to check for incoming text messages. It’s a free program called “MySMS” (SMS stands for Short Message Service), which pops up on your computer screen when a new text message comes in. But you have to remember to start up the program. Now we have an even simpler fix: tweak the settings on your smartphone. We get thousands of emails, so we used to turn the volume off on our phone so we wouldn’t get bombarded with ding-a-lings every few seconds. We missed a lot of stuff that way, and yet the world seemed to go on pretty much as before. — “The making of a marlin” is a four-minute YouTube video about making sculpture from plastics washed up on the beach. We recently wrote about the $5 program, “Start 10,” which brings back the look and feel of Windows 7, and buries the annoying distractions of Windows 10. A reader reminded us that a free alternative to Start 10 is “ClassicShell,” from ClassicShell.net, which we wrote about before Windows 10 came out. Now ClassicShell is out in a new version, and is still free. 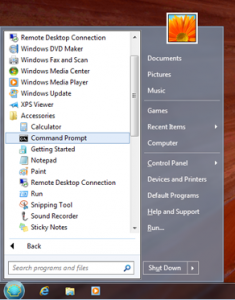 Like Start 10, it returns normalcy to your Windows experience. am rather dumbfounded why the target market actually is the unemployed, the nonprofessionals, and the non-tax-paying sector.” We got the impression she was a wee bit ticked off. “MyScript Smart Note” is a free app for Android and iPhone. It lets you make handwritten notes on your phone or tablet, using a stylus. What’s fun is you can edit those notes with easy gestures. Put a line through a word to erase it. Draw a line between letters or words to insert a new word, an apostrophe, or some other mark. Your notes can be turned into digital text and are searchable. Or copy your signature by holding your finger on it, tap “copy” and paste it into an email. “MyScript Calculator” for Android or iPhone lets you make calculations using handwriting instead of typing. It’s also free for Android and iPhone. It even does algebra. We had trouble getting it to recognize a decimal point. But it’s a quick way to calculate tips. We scribbled 15/100 x 16.8 to figure a 15 percent tip on a $16.80 bill: it’s $2.52.